Replace the phrase "click here" with one of these many options for links and buttons. Your information will never be shared with a third party. Pinky swear! 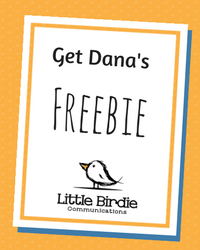 Check your email for a link to your freebie Freebie Title. It should be there in a few minutes. © Copyright 2019 Little Birdie Communications. All rights reserved.